How can you and I have our hearts on fire in prayer for the lost? A strategic way is to know our Coach and our winning team position in prayer. The intercession of the saints is leading to a great harvest of souls now at the end of the age. Anticipate it, cry out for it, and seek God for this great ingathering of souls into His Kingdom. All over the world as never before individuals are turning to Christ. As we pray for the lost, we need to know in our hearts that we are on the winning team. In watching the World Series, the biggest major league baseball game in the U.S. every year, I could see the discouragement on the faces of the losing team. With the odds against them, they looked anxious, troubled, defeated, and disheartened. When we think our situation is hopeless, it’s easy to give up and to lose heart. It’s hard to have a heart on fire in prayer when you feel defeated. In sports, people often talk about being "in the zone.” This is the place of optimal, peak functioning when athletes perform to their absolute maximum and have the perfect game. Performance can be influenced from anything from the amount of sleep, nutrition, relationship status, training, coach input, and a number of other things. Individual player’s methods for attaining peak performance vary. Self-talk, how to deal with mistakes, and effective goal-setting must be considered for peak performance. Music that calms the mind and relaxing, positive self-talk are important. When athletes are "in the zone," they are fully immersed in feelings of energized focus, full involvement, and enjoyment in the process of the activity. They are completely absorbed in what they are doing with single-minded immersion. Their motions are positive, energized, and aligned with the task at hand. There is the feeling of spontaneous joy while performing the task with a deep focus on nothing but the activity – not even oneself or one’s emotions. There is an intense concentration on the present moment, a merging of action and awareness, and a loss of reflective self-consciousness. Intercessors praying for the harvest need to know the importance of being "in the zone” in prayer. So many of us can get disheartened with feelings that we have lost the battle. Others have lost their joy in prayer. Many of us do not have energized focus and are often distracted and preoccupied with our problems when we pray. We may have lost our deep focus on the task of intercession and may feel that the world is totally out of control, as well as our personal lives. If you feel that the world situation looks bleak and hopeless, look carefully at these exciting statistics of what God is doing. The important thing when you feel that you have lost heart is to get back "in the zone" and realize that God is winning! Your prayers are making a worldwide impact, and you are on the winning team. I encourage you to shake off all of that end-time gloom, fear, anxiety, and feelings of defeat. Your team will win. The following statistics are from several different sources and change continually, but regardless of the exact numbers, we can see that God is up to something big! See operationworld.org for the latest updates. Also see www.prayerfoundation.org. In A.D. 100, there were 360 non-Christians for every true believer. Today the ratio is less than seven to every believer. (Vision 2020). Every day, 20,000 Africans come to Christ. Africa was 3% Christian in 1900 and is now over 50% Christian (Vision 2020). Bible translation has been accelerated by over 100 years and is now on pace to be completed in 2025 (Wycliffe). About 500 Muslims come to faith in Christ every month in Iran - a country ranked among the top ten persecutors of Christians in the world. (Vision 2020). Every day 50,000 people in countries served by Asia Access come to Christ (Asia Access). In 1900 Korea had no Protestant church. Today Korea is 30% Christian with 7000 churches in Seoul alone with several having over 1,000,000 members (Vision 2020). Today, six new churches open every day. After 70 years of oppression in the Soviet Union, Christians number about 100 million - 36% of the population. In Nepal, the world's only official Hindu country, over 100,000 Hindus have met the Savior in the last two decades. Every month another 15,000 in India are baptized as new believers in Jesus. Millions of Buddhists have come to Christ. Of over 400 million Latin Americans, more than 50 million have become evangelical Christians. 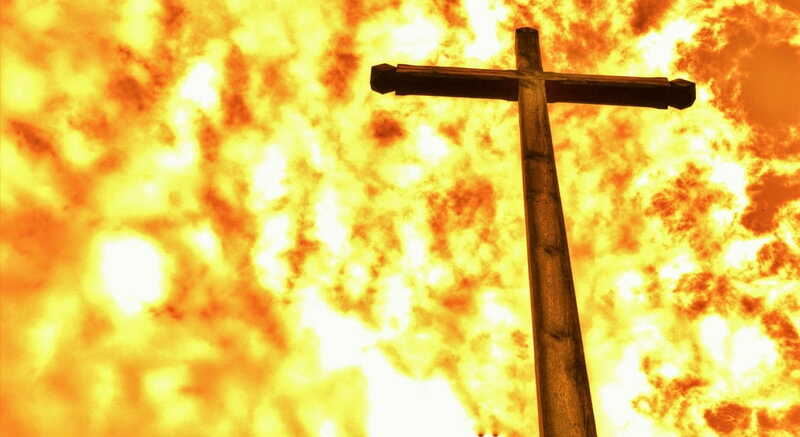 In Africa the church is on fire. It's the first continent to become majority Christian (over 50%) in a single century. There are over 25,000 new believers per day. If only 1 out of every 6 believers "reproduced" themselves one time each year, the entire world would be reached for Christ by the year 2020! Christianity is by far the fastest-growing religion in the world today. All the turmoil that is presently happening—terrorism, natural disasters, and lawlessness—leads people to seek for something beyond this life. Their attention is drawn to look for an anchor of stability and hope, something more than the uncertainties all around them. Our hearts are made for eternity, and we will not be satisfied unless we pursue it with all our hearts. Our great responsibility and joy is to pray for the ingathering of this worldwide harvest. There is a cathedral in Milan, Italy with these three inscriptions spanning its great arches. Over one is carved a beautiful wreath of roses, under which is written,"All that which pleases is but for a moment." Over another is sculptured a cross with the words, "All that which troubles us is but for a moment.” Underneath the central entrance to the main aisle is the inscription, "That only is important which is eternal." If we will remember these three truths, we won’t worry as much about the daily troubles we face. We won’t seek after temporary pleasures. We will live for that which is eternal and seek to pray and share the eternal Christ with those who are lost. It's time that we have a heart on fire in prayer for the lost. Look at God’s statistics around the world for an accurate picture, not the news. Ask God to keep you in “His winning zone.” Pray for grace to perform to your absolute maximum in prayer for the lost. Repent of discouragement, fear, anxiety and all negative emotions and beliefs. Cast your cares on Him and ask for His ability to concentrate in prayer. Pray for energized focus and single-minded, full engagement in prayer. As God's athlete, get enough rest and eat healthy. Practice the Sabbath rest. Deal with your mistakes. Repent of personal sin daily. Pray for harmonious relationships. You are a team player and pray-er with others. Set prayer goals and focused prayer times for the lost. God's athletes live a disciplined life. Listen to peaceful worship music that relaxes your mind. Think on things above. Watch for negative thoughts and speech. Seek a holy optimism as a winner. Ask God to bring you into enjoyable prayer. Pray for spontaneous joy. Pray for your prayers to be aligned and energized with God’s Word. Follow your Coach carefully every day. Listen and obey His instructions. Remember that you are partnering with God and are on His winning team. This is the perfect game, and there is no reason to lose heart. You already know the final score. At this point in the game as we pray for the lost, losing is absolutely impossible. Keep in mind daily that one day every knee will bow and that every tongue will confess that Jesus Christ is Lord (Philippians 2:9-11). That day may be soon! A Special Announcement From Us and invitation to Join the Team! Join us in November for a month of prayer on the internet for the Mediterranean Basin. The nations that line the rim of the Mediterranean Sea are strategically located in that they are a gateway to Europe, North Africa and the Middle East. Sign up for a prayer slot and join believers around the world in prayer for Houses of Prayer to start in the cities around the Mediterranean.